Music for Mission: Organ and Piano Music for a Cause is off and running. 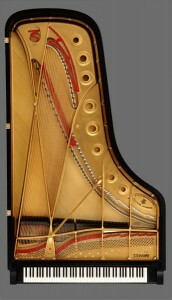 As I shared with you several weeks ago, my goal with Music for Mission is to share great music for organ and piano, while at the same time, using proceeds from my concerts to make a difference in people’s lives and in the world through various local, national and international charities. So often, we are overwhelmed by the problems of the world, and think, “I’m just one person. What can I do to make a difference?” Bringing healing and peace into our world starts with each and every one of us – one by one, person to person. And it can be as easy as buying a ticket or making a donation when you attend a concert. That’s the concept behind Music for Mission. Proceeds from donations will benefit the church’s May 2013 mission trip to the Cheyenne River Sioux Tribe Reservation, in South Dakota. My program will include works by Widor, Vaughan Williams, Wright, Bach, Lamlein, Halley, Southbridge, Powell, Callahan,and Locklair. 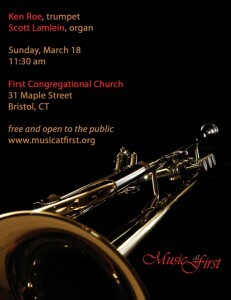 It is also a great opportunity to play a pipe organ I love dearly in a church I served for several years in the 1990s. My CD In Quiet Joy was recorded on this instrument. Click here for details – and I hope to see you there to hear great music and to support an inspiring mission. 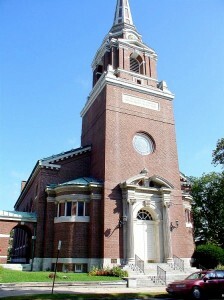 Music for Mission projects being supported through concerts and CD sales include: Women for Women, St. Vincent de Paul Shelter of Bristol, CT, and the Young Artist Initiative at First Unitarian Church, Worcester, MA. 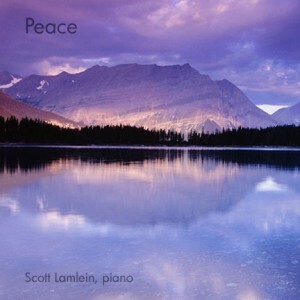 For more details about Music for Mission and my concerts, please visit the website, www.scottlamlein.com. If your church or organization is interested in sponsoring a Music for Mission concert to raise funds for your project, please respond to this email, or click here to contact Tom Ingrassia, my concert manager, directly. 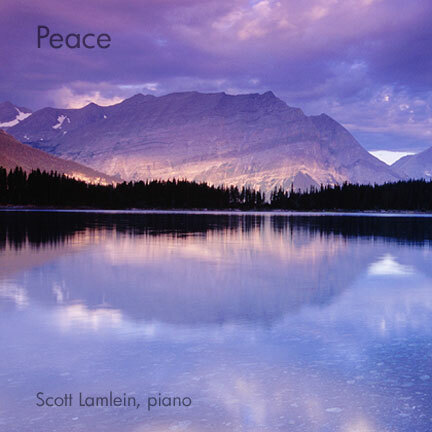 In July, I spent 2 days in the studio recording my new CD, Peace, a collection of my own, original piano compositions. The concept behind Peace is to provide meditative, prayerful pieces for any type of relaxation. The CD currently is in post-production, and will be available at my website, concerts, and via iTunes soon. In the meantime, you may pre-order copies of Peace using the order form on my website. Click here for details. Take advantage of free shipping until October 15th! Half of the proceeds from online sales of Peace, as well as my other two CDs, The Organ at Worship and In Quiet Joy, benefit a mission dear to Mary Beth and me, Women for Women, an organization that helps women support their families and create a better life in war-torn countries. I could not be more thrilled with these new ventures – and I remain grateful for your continuing support and encouragement through the years! It has been quite awhile since last sending out updates on my concert work, and, after a needed hiatus, I’m excited to share news of a new direction for my music-making. 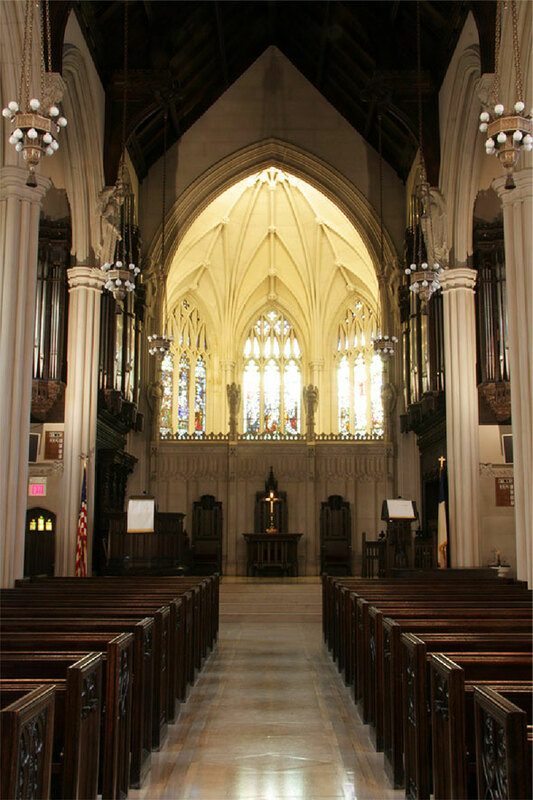 Music for Mission is the new home of my pipe organ and piano music, both recorded and in concert, and it is my hope and goal to share great music for these instruments while at the same time making a difference with various causes and charities. Read more about it at my new website, www.scottlamlein.com, and keep checking in as more events are added to the calendar. 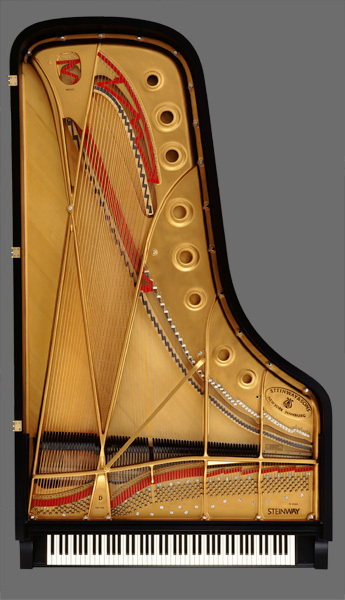 Tom Ingrassia continues to manage my concerts with great agility, and he is actively looking for places where I can present organ and organ/piano concerts to benefit a mission that is dear to the hearts of individuals within that church. If you have any ideas in that regard, please reply to this email, or click here to contact Tom directly. 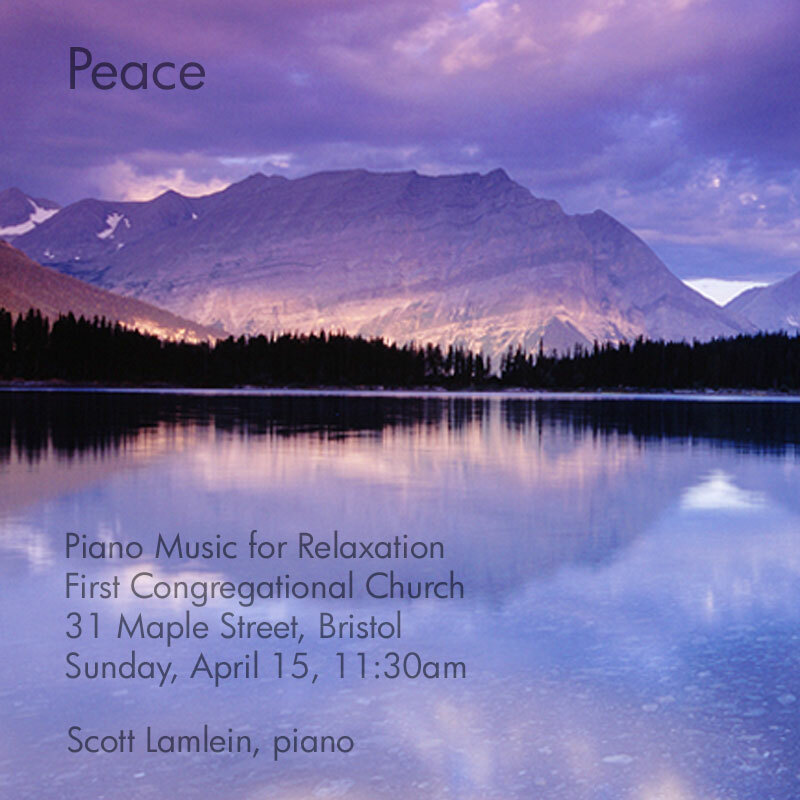 Next week, I am returning to the studio to record a number of my original piano compositions for a CD entitled Peace. Most of these works were written during 2009 and 2010, and are meditative, prayerful pieces suitable for any type of relaxation. In a concert I recently gave, I made note that it is “OK to fall asleep in church” during the playing of this music… in fact, it is a compliment! Stay tuned for details on how to get the final CD. My two other CDs for pipe organ,The Organ at Worship and In Quiet Joy, are for sale on my website and at iTunes. Half of the proceeds from all online sales go to a mission that is dear to Mary Beth and me: Women for Women is an organization that helps women support their families and create a better life in war-torn countries.Click here for details. 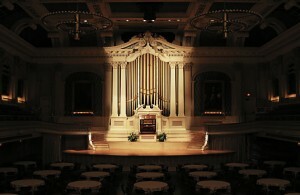 Join me on Wednesday, August 8 at Mechanics Hall in Worcesterfor the first Music for Mission concert. Part of the Worcester Organ Concert Series at that famed hall, this concert will benefit the Worcester American Guild of Organists Young Artist Scholarship Fund. I first played at Mechnics Hall in August of 2005, and it is very exciting indeed to return there! The 4-manual Hook organ from 1864 presents unique challenges for the organist, but the reward is a sweet and majestic sound that can’t be heard anywhere else. The picture here is from that concert in 2005. Jonah is now well over 6 feet tall! 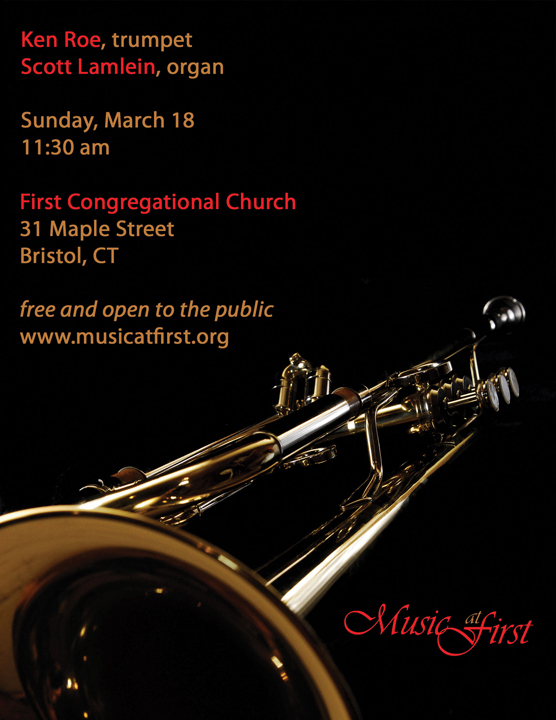 Click here for concert details, and I hope to see you there to hear great music and to support the Worcester AGO’s mission to continue teaching the organ to new students. Thanks for all of your support over the years, and I’m glad to have you along for the ride on this new venture!